"If we don't know the people we lead, why should we expect them to follow?" Generational issues can be destructive, and are some of the greatest barriers to leaders, organizations, and communities realizing their maximum potential! Yet, when we realize that there is great capacity to lead inside each of us, and inside those we serve, we find the hope and ability needed to lead in trying times as these. This is the basic premise that Dr. Arthur L. Satterwhite III hopes to instill in people and communities alike, all around the world. 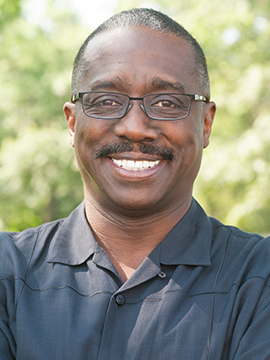 Find out more about Dr. Arthur L. Satterwhite III and his heart to see people realize their collective potential to lead in generationally diverse environments. Ready to take the next step? You can start the journey to transforming your personal and communal leadership today, by inviting Arthur to visit your community. "Even as many churches desire to serve Christ and carry out the Great Commission, their organizational structure makes their ministries inefficient. We had this problem and Arthur helped us understand what Christian leadership is, and how the church could better organize to be more effective. Besides being knowledgeable and insightful, Arthur is very easy to work with and brings joy and humor to the interaction with the church. I love working with him." "Arthur is one of the most inspirational leaders I know. He has a unique way of creating conversation that truly brings everyone's voice to the table. Openness is the first step to improving team health. Arthur takes groups to a deeper level of trust faster than they could have imagined on their own." Is Unity Really the Solution?